I hope this finds you doing well as you start a new Monday! We had absolutely gorgeous weather on the West coast of the US of A, just the opposite of the horrors on the East Coast. Again, my thoughts and prayers are with everyone still dealing with the storm. We've turned chilly here, in spite of the calendar telling us it's still summer, so out came the long pants, cardigan sweaters, and fuzzy robe and slippers. I think I told you a few years ago about how the Mister's father called his robe and slippers, "blipdah-blapdah" when he was a toddler. Some things are just too darn cute to forget and get passed on through the generations. That's how nicknames happen, right?! What is your family's 'blipdah-blapdah' story? 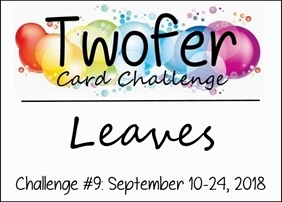 My cards today are reminders for Twofer Card Challenge #9 where the prompt is LEAVES! 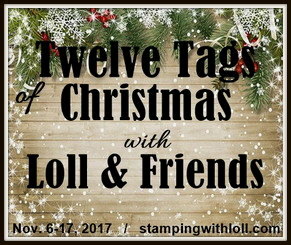 This prompt is very popular right now and the cards some of you have already entered in the gallery are really incredible! Mwah! The die I am featuring is the Mighty Oak die from PTI. It came out a long time ago and I haven't played with it for ages, so it was great fun returning to it. The coloring here is more springtime than fall, but it will be appreciated by all my friends on the other side of the world. I cut the oak leaves from a very bright alcoholic ink glossy paper background in the my stash and pieced them into a white card base negative. The sweet sediment is from GKW. 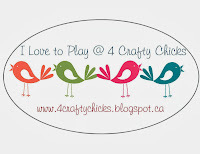 4 Crafty Chicks: Alcohol Inks Twist. I noticed the Mighty Oak leaf die pattern had a cluster of leaves that looked like a flower; you can see it near the upper left in my Onefer. So for my second card I mimicked the formation, again using AIs on glossy paper, and then arranged a few petals falling. I add the sediment which I think is from Penny Black to an MFT flag. Hammy only recently got his lips back to normal from his last schplatterama with a straw, so I took a turn this time. Stop laughing. I know I'm not as good at it as he is and now I appreciate how hard it is! So glad to hear all is well with you Darnell, the East Coast is having a very hard time and it can be hard to watch when so far away & helpless to do anything about it. Your cards are fabulous and that die is so effective with beautiful words. Crafty items like this makes me feel so secure as I know there is at least one within my bulging stash that will do the job each and every time. How I laughed at the *blipdah-blapdah* what a mouthful.. I have so many toddler words from my three but one that rolled over from the first to the second then the third was *Mook & Bicket* something they would have before bedtime. Translated that's Milk & Biscuit (the sweet kind) a reward if they had been good along with a story. They still ask for Mook & Bicket now 20 years on haa haa! its turning a little chilly here in the evenings now but I'm still in T-shirts but not sure for how long..
Two beautiful cards Darnell, I love the bright green one (even if it is Autumn). Terrible news of the East Coast, I hope everyone is keeping safe. Autumn is beginning to show itself here in the UK and there is a nip in the air first thing in the mornings now. This has always been one of my favorite dies...not sure why I don't own it or something similar. Your greens are lush and airy and do remind me of the freshness of spring. Your blues are gorges and I got a sense of a cross somehow at first glance. Either way its peaceful and lovely. Great use of that die Darnell and two very clever cards so bright and cheerful! Wishing you a lovely day! Oh! I have that die and after seeing your lovely card, I think it's time to pull it out again. My baby is 40 now, but the utility room has always been and will always be the "tiddly" room, and a spray bottle is "bookah bookah". 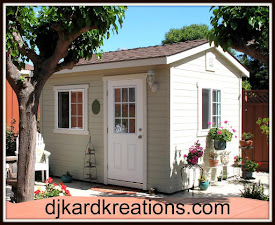 Love hearing what other little people come up with! Try to keep good weather for us. :-) Fabolous cards and fabolous shape of leaves. Those alcohol inks are so bright and happy. I love your arrangement and especially the blue flower one. Very pretty and clever. One story we use in our family happened to someone else but we have adopted it. My son's friend started dating a new girl and his parents asked what she was like. He hemmed and hawed so they asked if she was cute. He replied "not too" and they asked if she was ugly and he said "not very". So to describe anything when asked we say not too, not very. We never got to meet that girl. Two more beautiful cards made with the leaf design. I love them. And, I cannot recall any special names that were created from our family line. But I am sure there are a few but this old lady has forgotten them it seems. And, the weather is changing again here. Yesterday it was so hot in the 90's and today it is cold and chilly. Overnight the wind switched and changed it back to Fall. I wonder if the weather on the coast is moving in to cause us issues too. It looks like it will rain like crazy now. So dark looking. Doesn't it seem our thoughts and prayers are going out with increasing frequency. This climate change thing appears to be the real deal and I feel so awful for the victims of it's rage. It's chilly here, too. So much so that I had to put on long pants...never happens in September. My wardrobe is in shock. Loving what you've done with this versatile die and, personally, I think your spatters on the second card are every bit as good as Hammy's. You can tell him I said so. Hi Darnell, Loving the cards, especially the second one. We have warnings of high winds from 11pm tonight until 6pm tomorrow. my story of things being passed down is my Dad had grandchildren who couldn't say the word Granch which is used in my part of Wales where I was born. So they used to call him Anch this stuck with him even to neigbours and people that new him where he lived. They all called him Anch. When he passed away the name was put in the herse too. Now my sisters children and grand children call her husband that name so it carries on. Love your towfer cards and their super designs. You are such an amazing designer and the colours are so pretty. 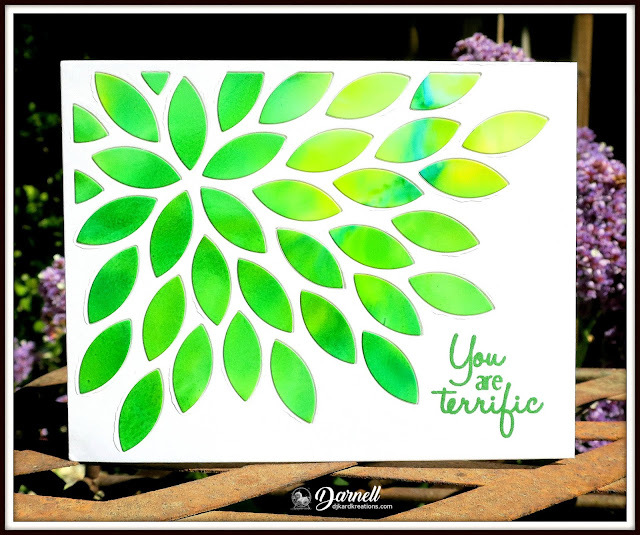 Your cards are so beautiful with all the leaves die cut from alcohol ink backgrounds. Such fun and creative CAS designs with awesome splatters. TFS Dolly (your nickname created by...Lolly) Hugs..
Two lovely leaf cards, Darnell - just love the inlaid leaves on card one and the pretty blue flower on card two!! WOW! Surprising use of this sablon. Your great creativity Darnell made me wear a different look at this stencil. 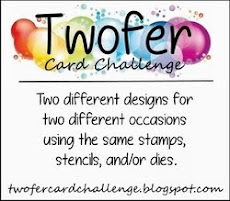 A great idea, two wonderful cards. Those are some pretty alcoholic colors, Dolly! They look so bright and happy and are a great pick up for some dreary days! I haven't seen that PTI die in a while Darnell, love what you've done with it here! Great eye to spot that flower hidden in those leaves. One of our favorite words came from our son when he was a toddler. He had toy tools. He insisted the hammer was the screwdriver, his word for it was "skewsdriver". My hubby being an industrial mechanic leaves plenty of room for that particular word to be thrown out quite often! Oh, I still have that little red plastic hammer...I mean skewsdriver!! Both so gorgeous, Darnell! Love the luscious greens--maybe not like fall but beautiful and fresh. Your more graphic 'flower' is a wonderful us for the leaves and the simplicity makes a lovely sympathy card! Here in Italy it's still Summer... and no rain or cold. Your cards are both lovely, great use of your die! Two gorgeous cards ... what a fabulous die. Love the colours you've used, the green really pops against the white. I love how you played with this die, Darnell! Beautiful AI colors, especially on your first card! 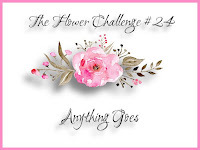 How clever you are to see a flower and create falling petals for your design, too...Both cards are so pretty! Love your beautiful and bright leaf cards! The leaves just pop on the white background! Oh wow, I love the green (and the blue! 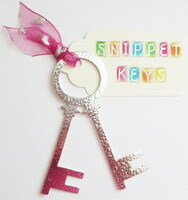 ), you are so clever with these creations and the sentiments are lovely too. I have really enjoyed reading through everyone's blipdah-blapdah moments - the thing that springs to mind is asking Grandson Myles 'where do you think raisins come from?' and his answer was - 'from little boxes of course'! Hard to argue with that one! Beautiful cards! Sure wish I could join in on this challenge, but I am on the road--in Kentucky, actually--and no crafting supplies in sight. Have a great rest of the week. I'm glad you brought that die out to play, Darnell, because both of these are so bright and beautiful. That takes patience to put in all those green leaves!! 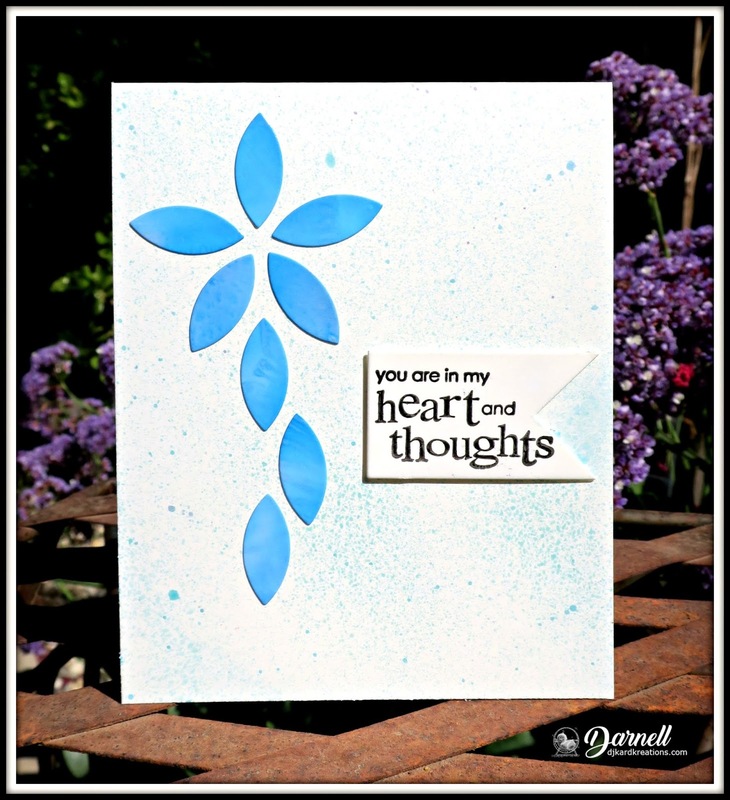 Great use of the leaves to create the blue flower on the other card - so clever! Two gorgeous cards Darnell! Love the inking on the leaves and how clean and simple the layouts are but offer such impact! Fantastic, how you used this die! The green AI looks so fresh and crisp and I love how you discovered the flower in the pattern! Beautiful cards! It was so good knowing the weather was good where you are - it was heartbreaking watching what was happening in other places! 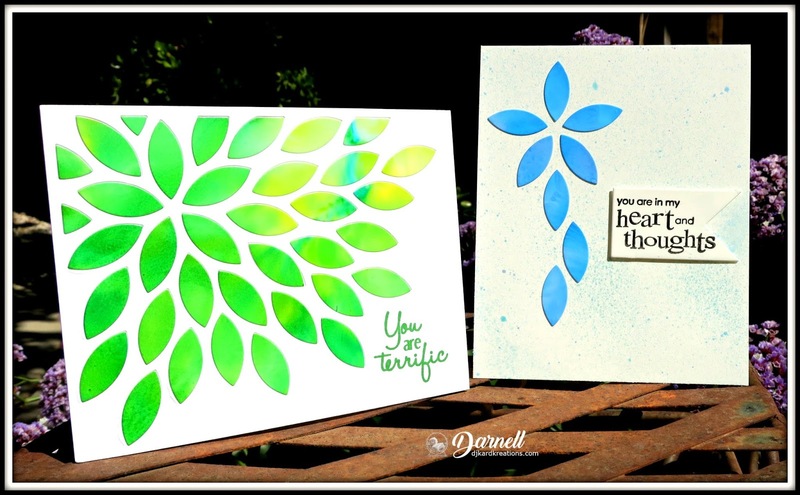 Two beautiful cards Darnell, love the green leaves as you said Sping is spring here and love all the flowers and leaves appearing everywhere before the sun cooks it all. And the second card using those same leave just beautiful, so very clever too. Two lovey cards, Darnell! I love those bright n colorful green leaves on the first and the splatters in the background of the second blue leafy design is very pretty too.